Monitoring your network is absolutely essential as it can help to thwart attacks and address problems before they translate to financial loss for your organization. However, it is almost impossible to monitor all the devices in your network, especially if you have to manage a large network spread across a wide geographical area. To overcome this drawback, you can monitor the edge devices such as Cisco Routers, Firewalls and Switches, as this can help you to identify most attacks. In fact, banks with many ATMs use this option to protect their networks from intrusions and monitor Cisco Traffic and Firewall logs constantly to ensure the highest level of security. Many companies manufacture routers and switches for large networks, but one of the most popular manufacturer is Cisco. This is why in this article, we’ll Review the tools and software needed for monitoring Cisco products, including but not limited too Routers, Cisco ASA, Firewalls and Layer 3 Switches. There are many products that monitor Cisco devices and we’ll look into some of the best ones. Below you’ll see a quick description of each software, along with screenshots and pricing/download links for each. 1. 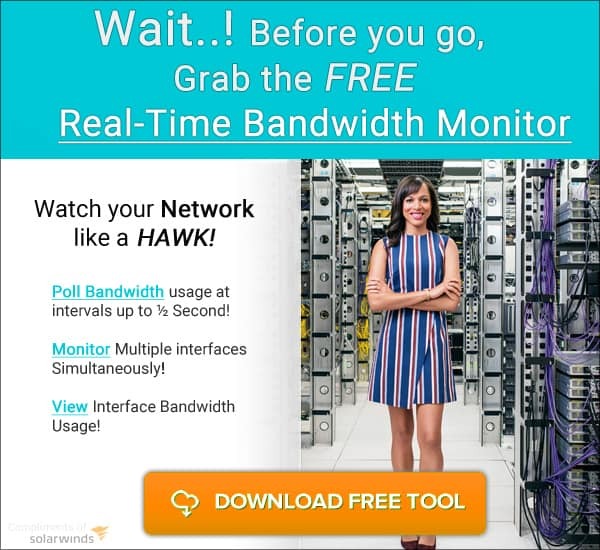 SolarWinds Network Insight for Cisco ASA Monitoring – Best Choice! 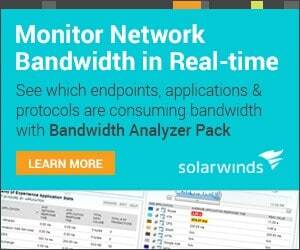 SolarWinds, one of the leaders in the area of network monitoring, offers a product for monitoring the health of Cisco ASA devices. In general, Cisco ASA devices deliver enterprise-class firewall capabilities, intrusion detection systems and integrated VPN and Unified Communications capabilities. Continuously monitors the devices to ensure that services dependent on the firewall are always available. 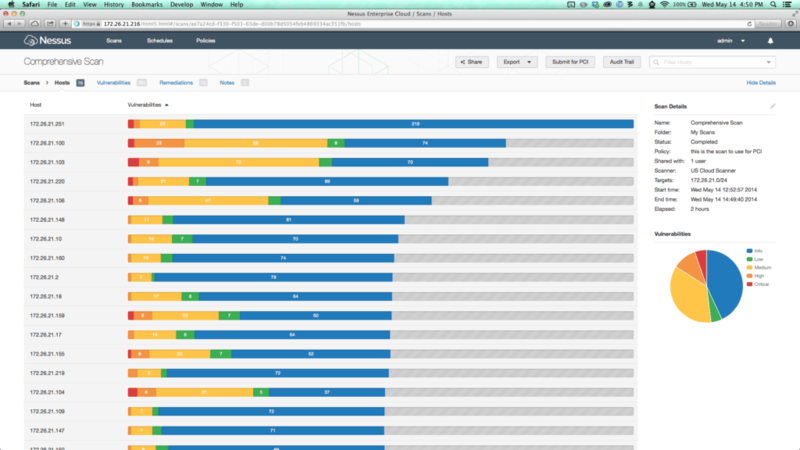 Gives a snapshot of the health and performance of all firewalls at any time. Improves operational efficiency as manual troubleshooting is not required. Reduces network outages and improves performance. 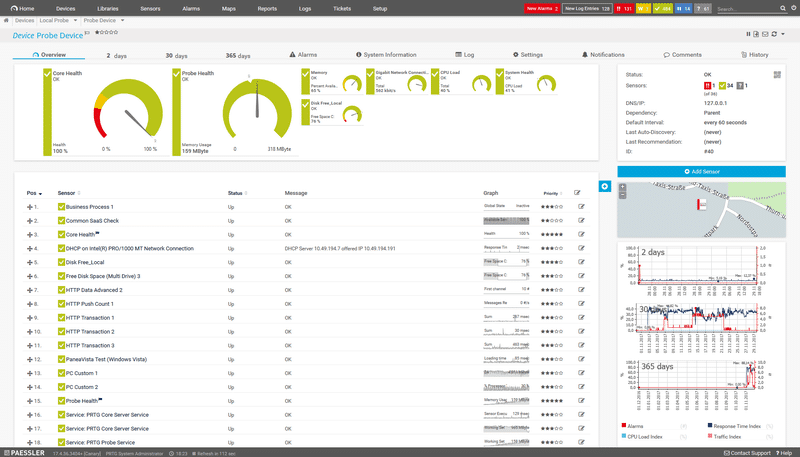 A performance analysis dashboard gives rich insights into the health of Cisco ASA devices. 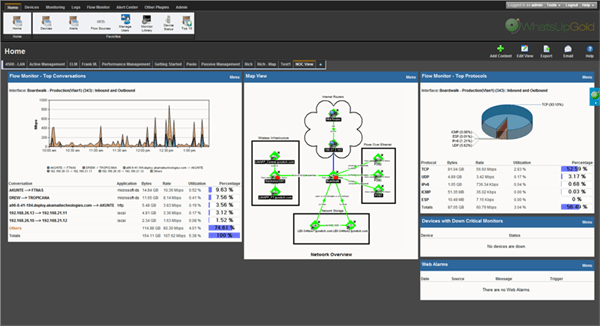 SolarWinds Network Insight for Cisco ASA Monitoring tool comes as a part of two products – Network Performance Monitor and Network Configuration Manager. The Network Performance Monitor tool is priced at $2,955 while the Network Configuration Manager is priced at $2,895. A fully functional trial for 30 days is available for both the products. Cisco Network Assistant is a comprehensive tool that simplifies the management of networks with up to 80 devices. Intuitive GUI and a task menu makes it easy to get the information you want. It is optimized to work across most Cisco switches, routers, controllers and access points. You can view important information related to your products such as Warranty and Contract information, End of life notifications and more. This information is made available due to a direct link with another tool called Cisco Active Adviser. Comes with a topology map that displays different devices on the network. Single-click telnet or a single access to the device manager. Periodic inventory reports that give a detailed look into the health of different devices. Notifies event thresholds and network errors. Works on Windows 2000 Professional (SP3+, SP4, SP1+), Windows 2003 Server, Windows XP professional, Windows Vista Ultimate and Macintosh OS Xt. Simplifies many network activities and saves time. It is free to use. You only need a valid email address to login and download. PRTG is another popular product for monitoring the network and the Cisco devices that are a part of it. Here’s a look into some of its important features. Comes with special sensors designed specifically to monitor Cisco devices. Sensors are basic monitoring elements that measure one aspect in a device. For example, it could be the traffic of a switch port, bandwidth usage or CPU load on a server. In general, you need about five to ten sensors per device and one sensor for every switch port. Hundreds of sensors are available for monitoring the different aspects of a device. Integrates technologies such as SNMP and Netflow, so it could monitor a wide range of devices from different manufacturers. Increases the overall security of the network as it monitors the edge devices with high levels of accuracy. Provides access to all Cisco sensors in PRTG’s freeware version. Works well with many mobile devices. No additional cost for Cisco sensors. Easy VoIP benchmarking to avoid delays in calculations. Customizable parameters help you to use these sensors to meet your needs. A bird’s eye view of the traffic for all Cisco devices with Adaptive Security Appliance, so you can get a quick idea of the health and performance of your Cisco devices. Helps to know which users are online or offline in IPSec-secured VPN connections. Multiple sensors can be created quickly for VPN connections, so you don’t have to spend time creating a separate sensor for each connection. Sends notifications automatically in the event of an error or if any self-defined threshold limit is exceeded. Comes with built-in automation, so no time is wasted in manually checking every device. Helps to spot problems quickly in Cisco devices. Some of the Cisco-related sensors available in PRTG are listed below. $14,500 for unlimited sensors on one core installation. $60,000 for unlimited sensors on five core installations. A fully functional software is available for a trial period of 30 days or Up to 100 SENSORS! WhatsUp Gold Flow Monitor is a monitoring plug-in that improves visibility into the performance of Cisco devices. This is the first tool to provide native support for Cisco’s Netflow-Lite protocol, so there is no need for third-party aggregator tools when you use WhatsUp Gold Flow Monitor. Here are some of its salient features. Collects flow records using different protocols such as Cisco NetFlow, Netflow Lite, Juniper J-Flow, S-Flow and IPFIX. 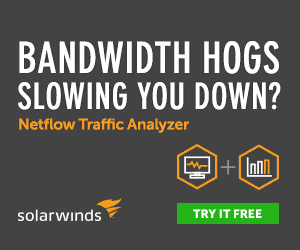 Gives detailed data on network traffic and bandwidth usage. Highlights the utilization of LAN, WAN and Internet networks. Monitors the bandwidth consumption of different users, devices and protocols, so you can identify bandwidth problems or high levels of usage. Generates application reports using Cisco’s NBAR classification. Supports CBQoS reports for class-based policies. Controls ISP costs, as you can better manage capacity planning. Optimizes the performance of devices, and boosts the overall performance of the network as well. Below is the cost for each variation of WhatsUp Gold Flow Monitor. No free trial is available for this product. 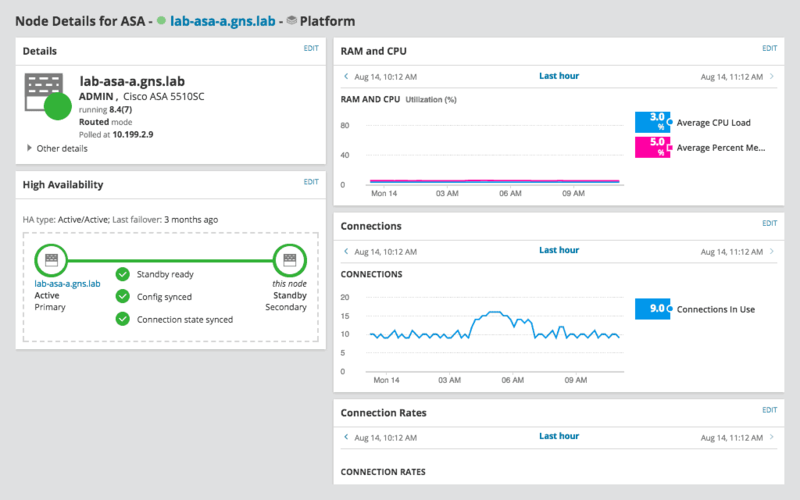 Nessus, the monitoring tool from a company called Tenable, is widely used to identify vulnerabilities and malware that attackers use to penetrate into your network. Easy to use, as you can scan the entire network with just a few clicks. Has a high detection rate, so most vulnerabilities can be identified before they become major problems. Offers unlimited scans against unlimited IPs. Fast and accurate, so you can quickly identify the vulnerabilities that need to be fixed. 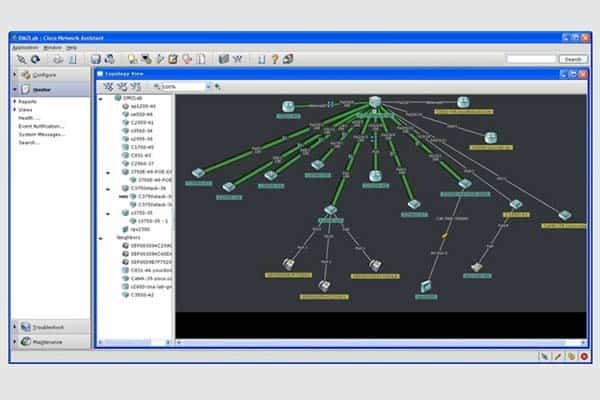 Provides plug-ins to detect latest threats and vulnerabilities. Allows a license to be transferred between computers. Built-in policies and templates provide a quick return on investment. Maximizes productivity with extensive asset detection and configuration audits. The annual subscription cost is $2,190. To conclude, Cisco Monitoring Software & Tools are essential to monitor the health and performance of a wide array of Cisco-related products in your infrastructure. Many of these monitoring tools and software are powerful and come with built-in sensors to automatically monitor every aspect of different Cisco devices, so your workload is greatly reduced. We Suggest you grab a Free Download (or Trial) of any of the tools from above and get started immediately to take full Advantage of the Features they offer and have a detailed and meticulous look into your Hardware devices that are protecting, routing and inter-connecting your Networks.